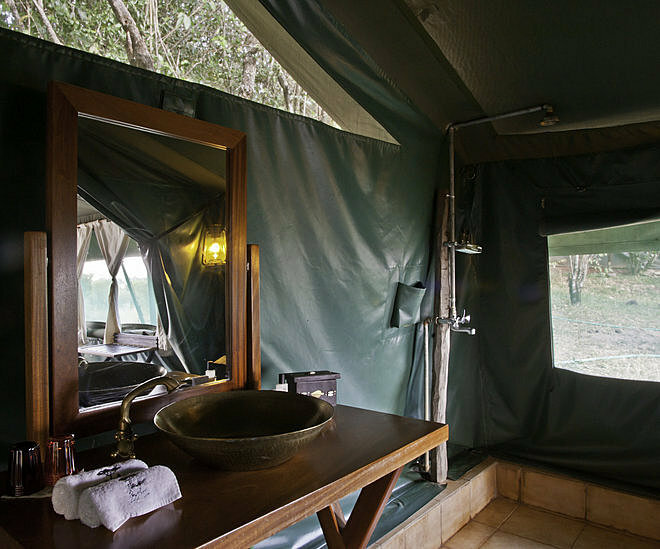 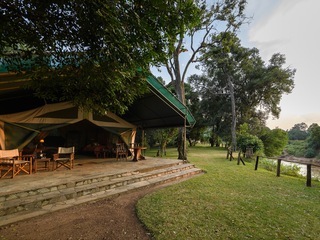 With only ten tents, this intimate camp has a spectacular location on the Mara River and is one of our favourite camps during the Migration season. 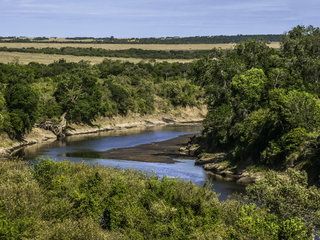 River crossings have long been a highlight of the migration in the Mara with vast herds running the gambit of the crocodiles to cross the wide Mara River. 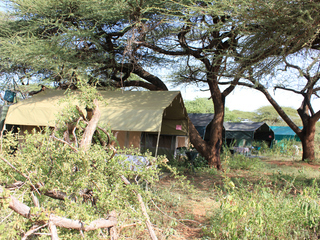 Unfortunately they are now plagued by correspondingly vast numbers of tourists and game drive vehicles. 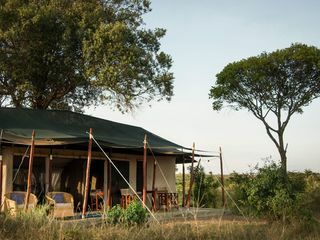 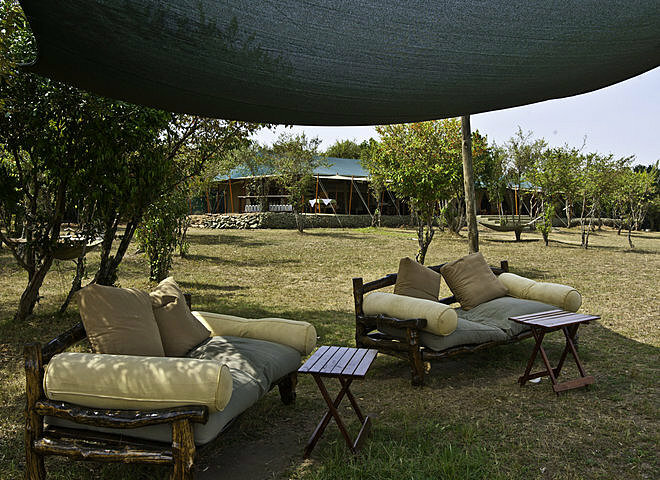 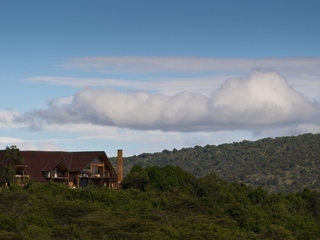 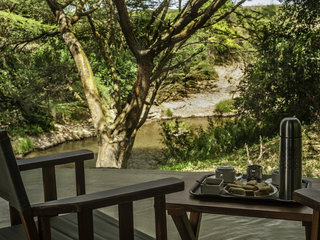 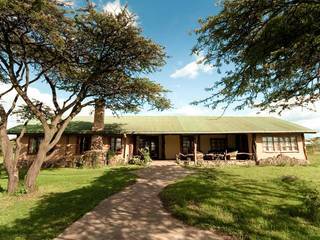 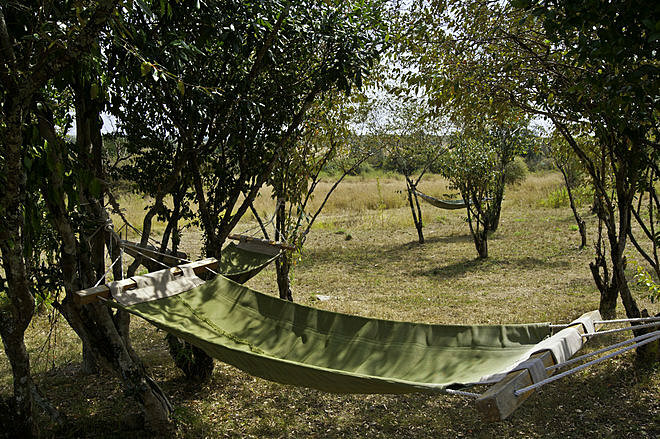 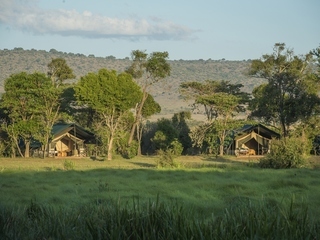 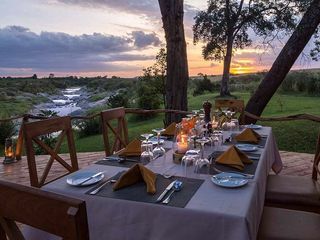 The beauty of the location of Entim Camp on its own private stretch of the Mara River is that guests can get pretty much exclusive access to a good crossing point from the Camp. 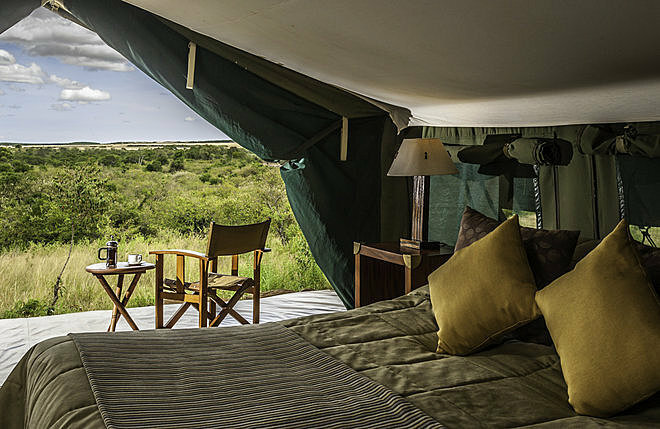 Guided safari drives are taken early morning or late afternoon, alternatively picnic lunches can be arranged for an extended drive. 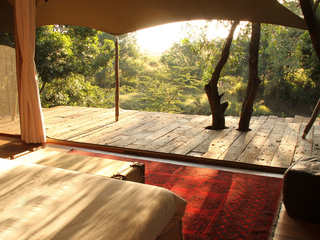 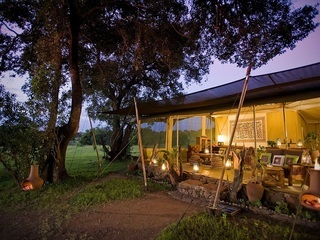 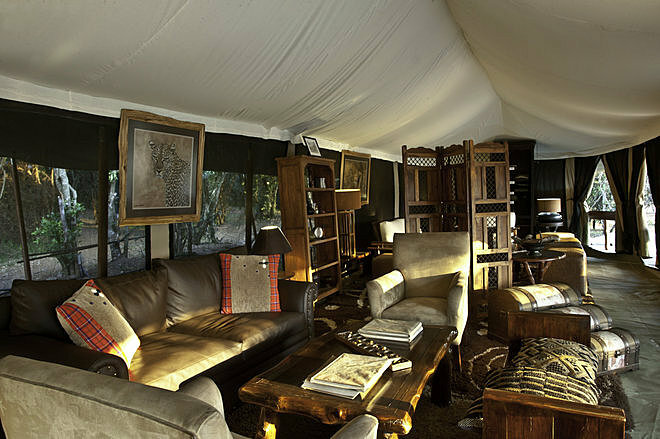 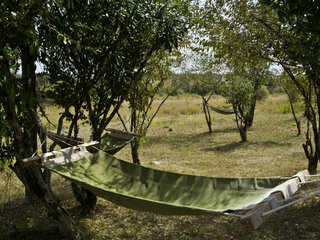 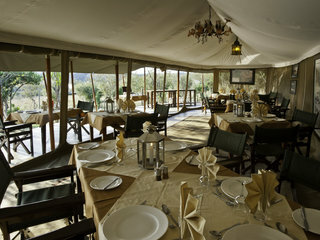 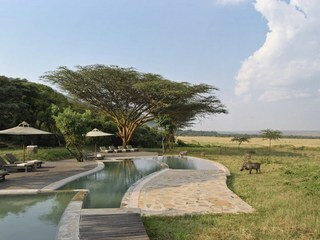 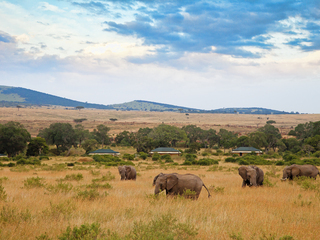 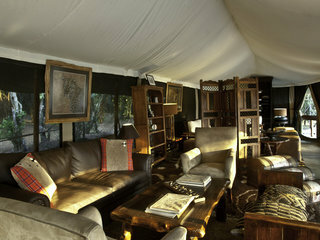 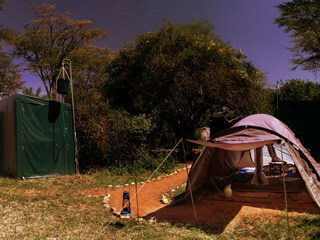 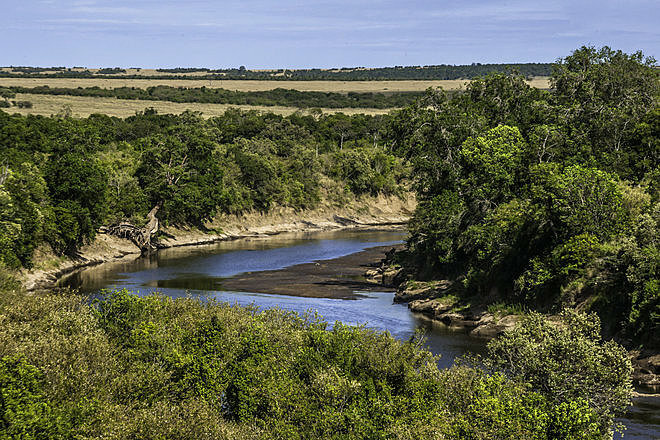 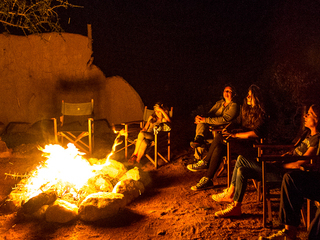 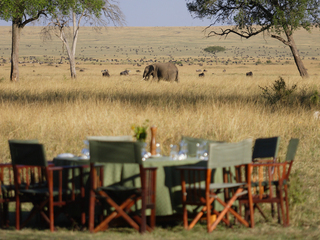 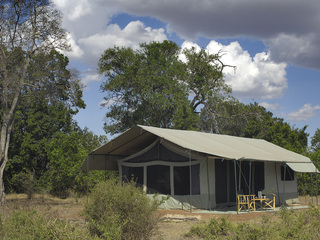 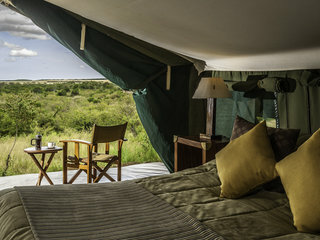 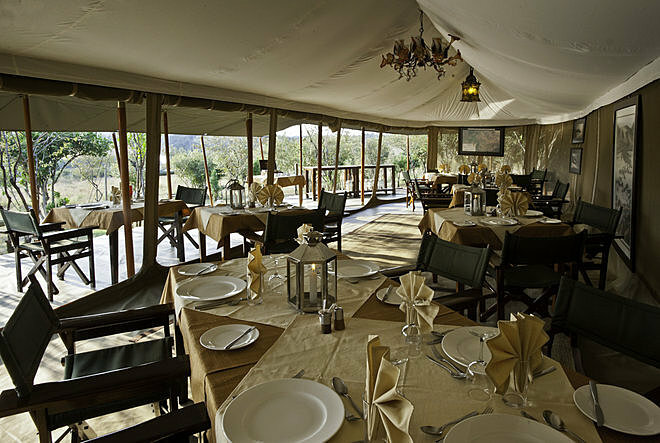 With the river on your doorstep, some of the best game viewing is often enjoyed from the camp. 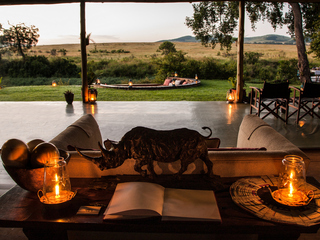 The open fronted main areas consist of a lounge area, bar, small library and dining area, all making the most of the fabulous views. 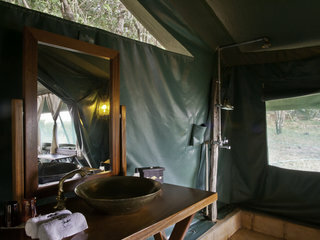 The spacious tents are well placed all with views of the river, with large comfortable beds and en-suite flush loo and hot showers.